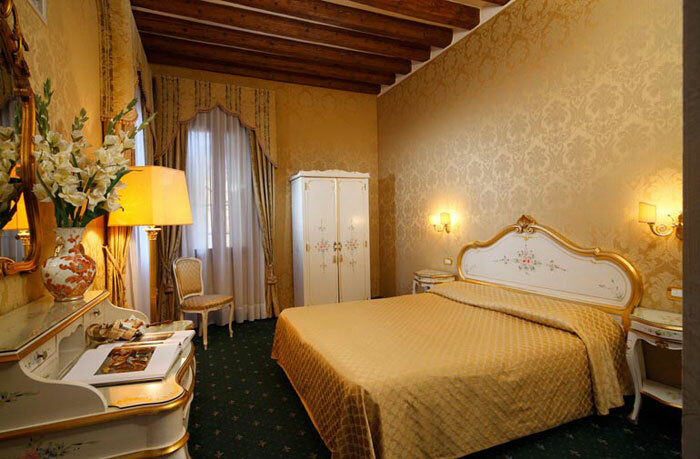 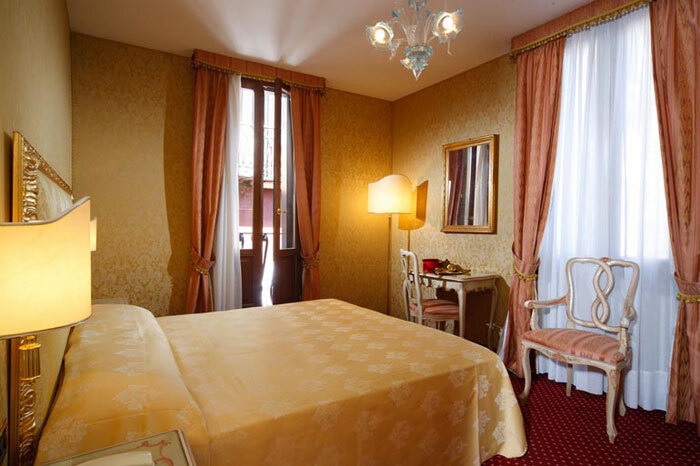 Bright and some with a splendid view over the rooftops of Venice and the dome of Saint Mark's Basilica, the 26 rooms of Hotel Castello are delightful, they are furnished in a classic Venetian style that harps back to the 1700's. 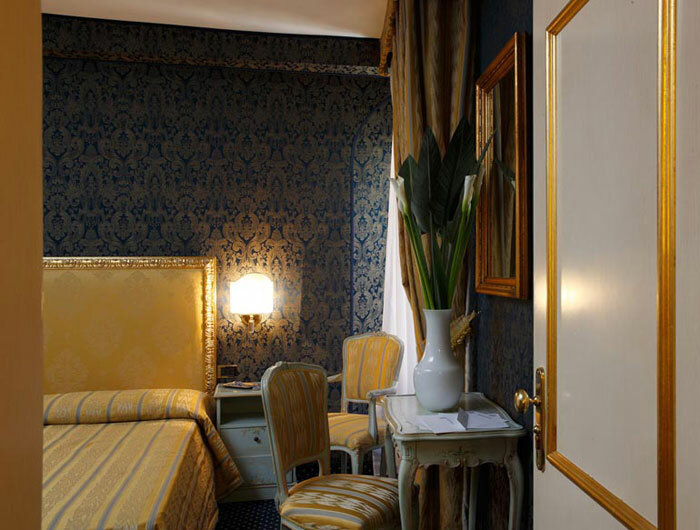 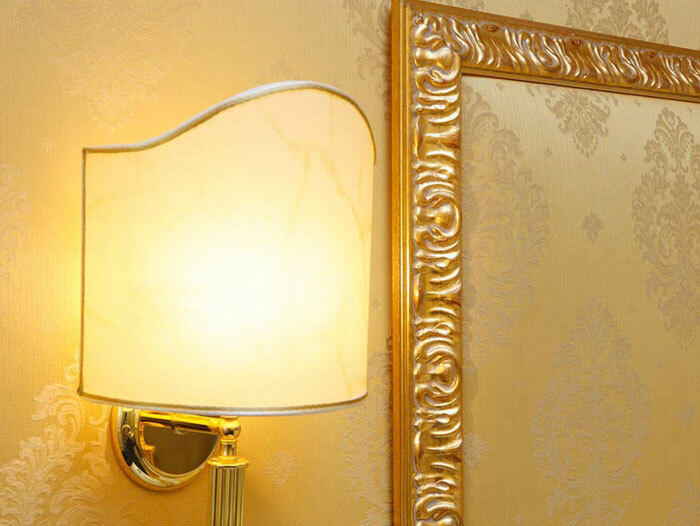 Lacquered furniture, esteemed upholstery, Murano glass light fittings and harmonious compositions enriched by the best comforts proposed by 3 star hotels in Venice. 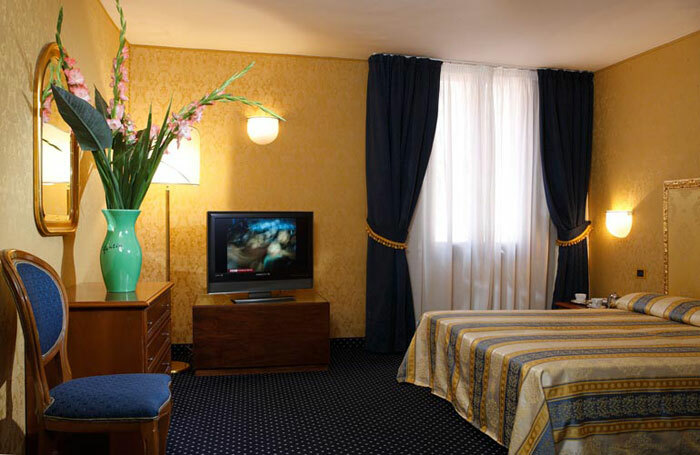 All equipped with a TV, telephone, mini bar and air conditioning, the bathrooms have a bath or shower, a handy hair dryer and a practical bathroom kit courtesy of the hotel.